Someone asked me on Friday for what the reason the Benedictine Rule existed and what was the purpose of contemplative nuns? As the person is a Catholic, I was a bit taken aback. But, I have three answers. I said that the contemplatives were the Marines, hitting the beach first with their prayers while the active orders and laity followed behind in the mop-up. I believe this is true, as the spiritual life of prayer attacks the unseen enemies and prayer makes the Church strong in battle. Those soldiers who are the specially trained groups go in and deal with the first lines of the enemy. I hope St. Benedict and St. Scholastica would agree with me. But, that is not the first reason for the Rule or the existence of contemplative nuns. That would be the second reason. First, the nuns exist to worship God. 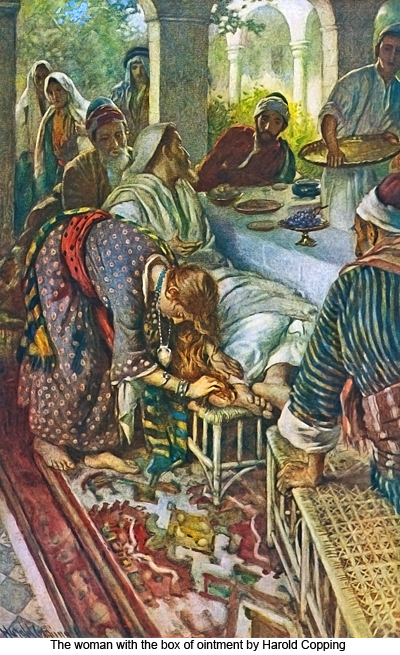 Their presence is the presence of the woman with the alabaster jar of ointment who anointed the feet of Jesus. Judas asked "Why this waste?" He did not understand Love. Judas did not love Christ or he would have never said that. Christ is God, and in His worship there is no waste. Love does not know the limits of excess. There are no limits in God. Did not St. Francis say, "My God never says 'Enough'". We should have no limits in our love for God. A priest once told me that to examine one’s spiritual life is like ripping a plant out of the ground to look at the roots. This is good advice, but incomplete. Reflection is necessary and a good examination of conscience is an excellent start. However, one’s spiritual life is about a relationship with God. There is nothing wrong with examining a relationship. But, merely concentrating on sin or imperfections is not enough. One may ask these questions. What are the priorities of my life? What do I spend the most time on in my thinking? On what do I spend most of my money? If I have money, do I give to charity and tithe? How am I living like Christ? How am I thinking like Christ? How do I conform my life to the life of the Church? Is my love for others real or self-seeking? Am I living a counter-cultural life-style; that is one of Catholic identity? Do I sacrifice at all in some way for God, for others? Do I love Christ directly? Do I love the Church? be reactions to people or events. Such is the control God gave us in the use of our free wills. There is nothing we can do without grace. On November 27th, 1830, St. Catherine Laboure had another vision of the Blessed Virgin Mary. 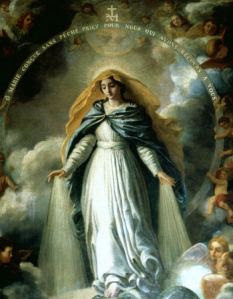 On the Blessed Mary's fingers were many rings and rays of light were coming from some of those rings. Those bright rings represented graces pouring out to those who asked for these. Other gems were dark and Mary said that these were graces for which no one asked. Ask for those graces, the graces from the rings of Mary. Do not be afraid. Today is the feast day of St. Padre Pio. However, the Sunday takes precedence. Pray for us, Padre Pio.